In a wok or very large skillet, heat 3 tablespoons of the oil. Add the ginger, scallions and a pinch of salt. Cook over moderately high heat, stirring constantly, until the ginger and scallions are tender, about 2 minutes. Add the sliced shiitakes and a generous pinch of salt and cook, stirring frequently, until tender, about 5 minutes. Add the kale, season with salt and stir-fry until wilted, 2 to 3 minutes. Add the garlic and cook for 1 minute more. Add the cooked rice and stir-fry until heated through, about 3 minutes. Make a well in the rice and add the remaining 1 tablespoon of oil. When the oil is shimmering, add the eggs. Cook without stirring until the eggs begin to set at the edge. Using a spatula, scramble the eggs until just set. 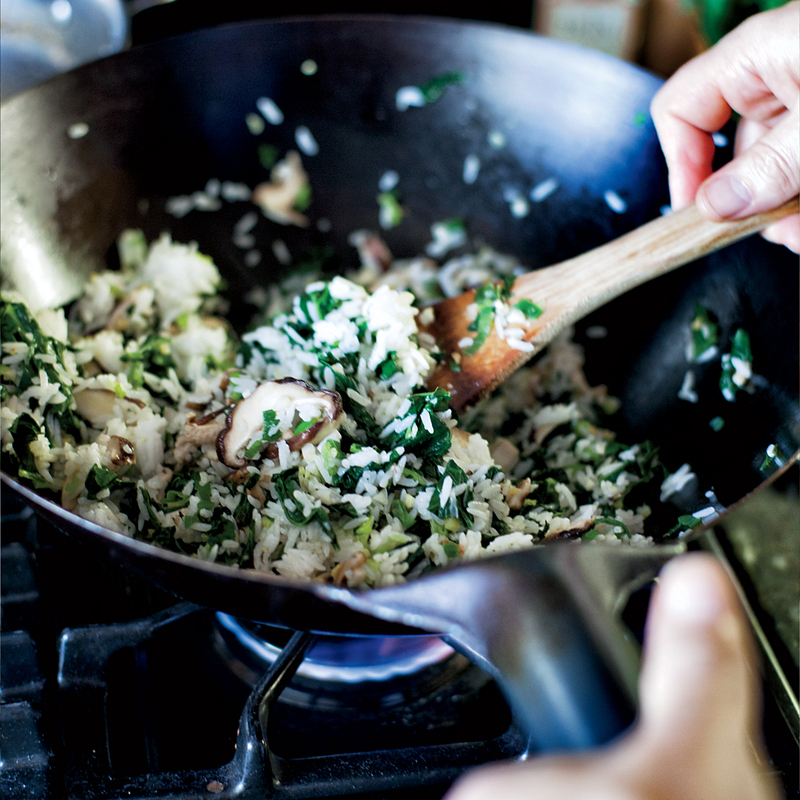 Stir the eggs into the rice along with the vinegar and oyster sauce and season with salt. Serve immediately.